Big Fish Using Ultralight Setup. Being Impossible to Not Impossible! At one time majority of anglers will find it hard to believe that ultralight setup less than 6lbs able to tame big fish. For them it’s impossible, all are lies and it does not make sense at all. Up till now there are still many who do not believe even the evidence is already given. 1. Never understand the setup they use. Why rod / reel / line are given certain specifications and they never spend time to understand each setup capability. 2. Never try to find differences in various fishing style. From the beginning until now they are still in the same kind of fishing style. The don’t grow. 3. Never refer or read any article(s) which available on the Internet or in magazines. So, no information about what others can do. 4. Never learn from the pro because they feel they are better. 5. Never mix with other anglers and this makes them still under the shell and not expose. 7. No experience & never try ultralight. Why all the above reasons is happening? Easiest answers is KNOWLEDGE AND EXPERIENCE! So, how to actually land a big fish with ultralight? 1. Understand the line strength (every poundage). 2. 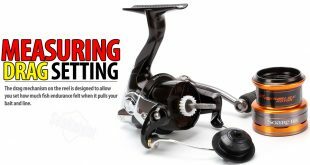 Understand the reels capability. 3. Understand your rod maximum capacity. 4. Understand how to handle fish. 5. Understand how to strike. 6. Understand how not to break the line/rod. 7. Understand patient is the only way to land the fish. 8. Understand no force in ultralight. It’s highly recommended to take time and use the setup for some duration to get the experience not overnight. Spend more time to learn the basics so that you really understand the foundation. It’s good also trying to find various types of fish and also fishing at various location/area. This will train you to handle various species and learn how to land them properly. The main reason doing all these is actually getting the experience and build your confident. When you have the experience and confident then everything is possible because you know how to handle it. As I said this is not overnight task. This is on-going process for each downsizing you do. Whatever steps you are taking you need to try it properly. Gain the knowledge, experience and confidence by keep trying and practicing until you get it properly. Nothing comes easy unless you try it. These experiences taught me to be patient when fighting with the fish. These experiences taught me to understand the movement of fish. These experiences taught me to understand about the fish habitat. These experiences taught me to understand about the fish strength. These experiences taught me to understand proper techniques to land the fish. These experience taught me every line I breaks the closer I become to understand it. These experiences taught me IMPOSSIBLE BECOME NOT IMPOSSIBLE. Nothing is impossible in fishing. It’s just a matter of efforts and luck with the assistance of all experiences and confident you had gain before. The more you keep trying the nearer you get there. What really matters is look for the knowledge for some ideas and then use that ideas to gain experiences through on-field fishing. Never doubts human capability. Everyone can do wonders. When you decided to try on ultralight the first thing you need to understand is “Ultralight is NOT meant for the big fish”. Balance with your target fish and enjoy the game as it should be. But if your luck to strike big one then all these previous experiences will allow you to handle them properly. If you able to land it then its a bonus if not then value the experience you gain from here. Nothing wrong to try on big fish if you have the right knowledge and experience. Ultralight fishing is something you should try and love. It can give you pleasure and fun in the area where nobody can really explain it. Its just pure fishing. Its just an ART. Welcome to ultralight fishing and do enjoy it. Next Ikan Besar Menggunakan Setup Ultralight. Mustahil Menjadi Tidak Mustahil!